Melanie has over 15 years’ experience in the NHS working with children, young people from 0-18yrs and their families. Her work in child and adolescent mental health services (CAHMS) has involved working with a broad spectrum of mental health difficulties as well as undertaking assessments of complex Neurodevelopmental problems and formulating therapeutic intervention plans tailored to the direct needs of the child and family. Working across more specialist clinical services, Melanie was Clinical Lead for Under 5’s and Pre-school children, Looked after Children (LAC), Neurodevelopmental disorders and Neurodevelopmental trauma. She has also had the lead responsibility for providing training and specialist consultation to Health, Social Care and Educational Professionals as well as providing reflective supervision of Assistant, Trainee and Highly Specialist Psychologists. In her current role in specialist Perinatal Mental Health Services, she is working with women who are pregnant and in the postnatal period with mothers and infants up to one year. Within this service, she is also leading service development on a program known as ‘Keeping Baby in Mind’. Melanie’s unique skills and understanding of perinatal mental health enables her to integrate knowledge of maternal mental health, infant mental health, developmental trauma family dynamics and systemic issues into her work with women and their babies during pregnancy and in the critical perinatal period to support attuned attachment interactions between mother and baby. She is also the key Clinical Lead in delivering teaching and training on perinatal mental health to staff teams and other professionals within the service. In her private work as a Child and Adolescent Psychologist Melanie offers high quality, evidence-based assessment and therapeutic interventions to children, adolescents (from 0-18yrs) and their families. She offers specialist psychological assessments, including complex Neurodevelopmental assessments, therapeutic interventions, professional consultation and supervision on early child development and perinatal mental health. Additionally, she offers specialist psychological assessments and therapeutic intervention for looked after and adopted children alongside working directly with adoptive parents and foster carers. Melanie is wholeheartedly committed to working collaboratively with young people and their families to reach a shared understanding of the difficulties they may be facing. In her clinical work, Melanie can draw upon a range of therapeutic intervention depending upon the particular needs of an individual. These include Dyadic Developmental Therapy (DDP), Narrative Therapy, Brief Solution Focused Therapy, Dialectical Behaviour Therapy, Trauma-Focused Therapy for Children, and Parent-Infant Psychotherapy. She is trained in the Autism Diagnostic Observation Schedule (ADOS) and can undertake highly specialist assessments for Autism. She also has specialist supervision training utilizing the Supervisor Training and Recognition Programme (STAR). Additionally, Melanie has been an Honorary Lecturer at University of Coventry and Warwick, University of Birmingham and more recently Associate Teaching Fellow at the University of Surrey on Doctoral Training in Clinical Psychology, MSc and Undergraduate Psychology Courses. 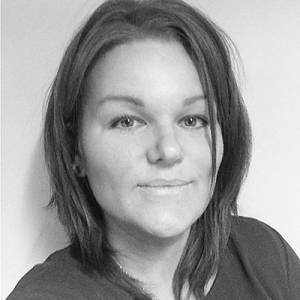 Melanie is fully registered Chartered Clinical Psychologist with the Health and Care Professionals Council (HCPC) and a Fellow of Higher Education Academy.